Not This Old Thing Again. Remember this old gem? I haven’t talked about this in quite a while. You can check out the first appearance here. I could even manage several hypernations at work & the Boss would never know I was sleeping right in front of his very eyes. Right? It’s a win, win, sleep situation. 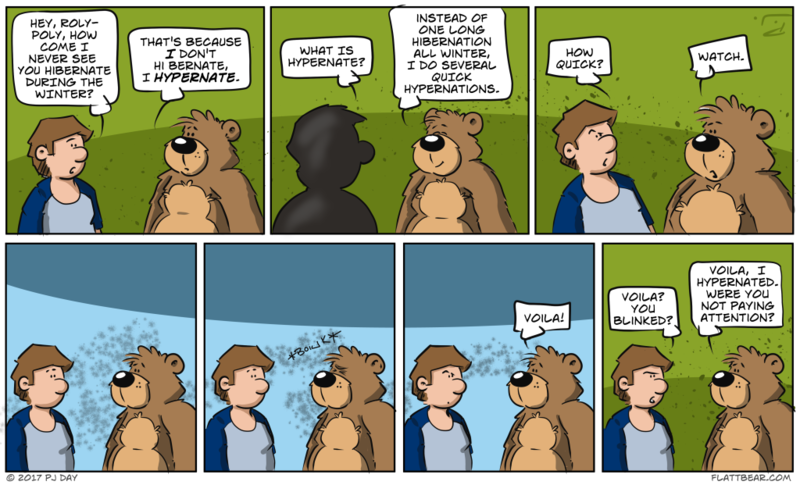 We live in such a hectic fast paced world no one has time for hibernation these days. Hypernation is much more practical. Then I’ll bring it back out every 3 years. It’s like a power nap! Wow, who knew that Duffy was secretly The Flash ! !